The black patent leather Agnes brogues from Hobbs add a masculine edge to feminine outfits and smarten up casual looks, with their traditional punch hole pattern and pinking detail updated with a modern block heel. 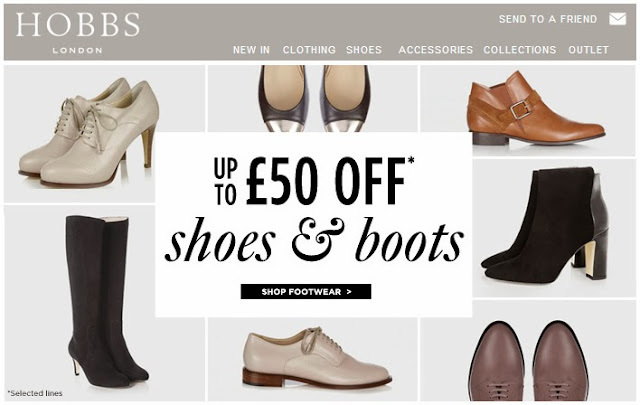 It's a shame they're not in the Hobbs shoes and boots sale, where the British womenswear brand is offering 50% selected items, including these chunky white snakeskin heels, suede ankle buckle shoes, animal print courts and cut out lace ups. FRIDAY'S FFFFOUND: THE BEST CITY IN THE WORLD?